Brian M. Glover and his staff help Listing Agents and their Sellers by taking control of the transaction from the outset, handling communication with the lenders/creditors, and by anticipating common pitfalls that accompany short sale transactions. The Agent’s Commission and Seller’s Attorney Fee is paid by the Lender. Sellers gain peace of mind because we handle all communications with their lenders/creditors. Agents are then free to do what they do best, list and sell property. When Do We Submit The Short Sale File to the Lender? Given the backlogs most lender’s Loss Mitigation Departments are facing, we are now submitting short sale proposals before we even have an offer on the property. It often takes one or two weeks for the lender to “upload” to their computers the faxed/emailed documents we send them. While not all Loss Mitigation Departments will open a file without a Purchase and Sale Agreement, many do. Then, when we have an executed Offer and Purchase and Sale Agreement, we forward those documents promptly. We then call the lenders daily to follow the progress of each file. What is the Typical Short Sale Process? We meet with the listing agent and seller to discuss the short sale process and answer any questions. The sellers then collect the required documents, prepare the Hardship Letter, and return to us for review and submission to the lender. The Agent provides us with the Listing Agreement, MLS Listing, and any relevant Comps. We check the title to make sure we are aware of all the liens against the property. It is common for Attachments, Executions, and Tax Liens to appear against a seller’s title in the land records. Having the complete picture at the outset allows us to negotiate the right payoff amount with each lienholder the first time. We prepare a preliminary HUD Settlement Statement with proposed payoffs and a projected closing date. We forward the short sale proposal to the lender’s loss mitigation department. We then spend hours on the phone negotiating with mortgage companies and lawfirms representing creditors. What If There Is A Foreclosure Date Set? We have success helping Sellers halt foreclosures to allow their Realtors sufficient time to market and sell the property. We often get calls from Realtors who want to take a listing to help a seller who is only weeks away from Foreclosure. If you have such a client call Attorney Glover at (508) 990-4555 for help with avoiding the foreclosure. 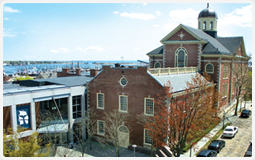 Founded in 1787 and incorporated in 1847, the City of New Bedford, Massachusetts has a history as old as America itself. From its past as the world's most famous whaling era seaport to its present as a popular fishing port, New Bedford provides visitors with a host of recreational and culturally-enriching activities.